Cory’s shearwater Calonectris diomedea is the main seabird species by-caught by the Spanish longline fleet operating in the western Mediterranean Sea. Identification of the principal factors that determine this by-catch and understanding how they could be controlled is fundamental for improving the management of fisheries and so carry out a better conservation of Cory’s shearwater populations in the Mediterranean. 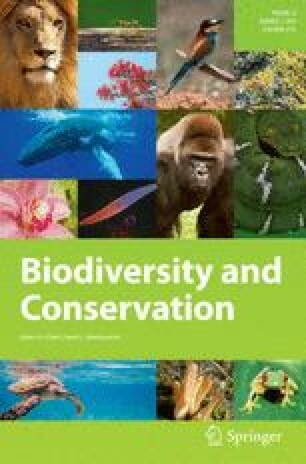 The aim of this paper was to model the longline by-catch of Mediterranean Cory’s shearwater in the Spanish Mediterranean longline fishery as a function of time of the year, technical characteristics of the fishing operation, and geographical location. We used data recorded by an onboard observer program monitoring commercial longline fisheries. During the 10 years covered in this study, 80 birds were captured in 30 fishing operations out of a total of 2,587 observed fishing sets. We used favourability functions and Random Forest analyses to relate the presence of Cory’s shearwater in the by-catch with the explanatory factors. The most explanatory factor in relation to incidence of by-catch was the geographical location (longitude and fishing over the continental shelf) and then the technical characteristics of the fishing operation (number of hooks and fishing during non-working days). Our conclusion is clear, because seabirds are more likely to approach longline vessels when trawlers are not allowed to operate (i.e. non-working days), activity of longliners should be limited to working days, and closing longliners activity during the month of October could reduce greatly reducing seabird bycatch. The onboard observer program in commercial longline fisheries was supported by different projects from the Oceanographic Centre of Malaga of the IEO (Spanish Institute of Oceanography). Moreover, this study was partially funded by the project CGL2009-11316 (Ministerio de Ciencia e Innovación, Spain, and FEDER), and GPM-4 programs (Spanish Institute of Oceanography). We are grateful to the skippers and fishermen for allowing data collection from the boats. We would also like to thanks the anonymous referees, and Andrew Paterson for their useful comments and style corrections.